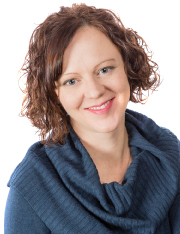 Born and raised in Perth, Dr. Cordick returned to her hometown in 2007 following her studies to enjoy the small-town living and the sense of community it fosters. Dr. Cordick initially studied Human Kinetics at University of Guelph, earning honors, and going on to work as a kinesiologist and ergonomist in Peterborough, Ontario. During this time, Dr. Cordick had her first experience with chiropractic as a patient to seek help for low back pain that was ongoing from an old injury. The results amazed her. How many other people were living with the same pain and its restrictions that didn’t know there was help, like so many of the people that she encountered in her day-to-day work? Dr. Cordick then earned her Doctor of Chiropractic in 2007 at the Canadian Memorial Chiropractic College (CMCC). Dr. Cordick developed a skill for evidence-based and patient centred care, which remains at the forefront of her clinical approach. “By focusing care on the goals of patients and ensuring they understand the rationale and evidence behind the approach, patients have a high level of confidence and satisfaction in the care they receive,” says Dr. Cordick. Dr. Cordick returned to Perth in 2007 to practice chiropractic. Her patients range in age from seven days old to 99 years young. Believing in the importance of community, Dr. Cordick served as a board member on the Perth & District Chapter of the Canadian Federation of University Women. This education is committed to advancing opportunities for women by supporting education and literacy. Dr. Cordick’s philosophy towards lifestyle was always grounded in her upbringing. In fact, her grandmother would say, “If you have your health, you have everything.” This is precisely why chiropractic is so important for Dr. Cordick and her family. It’s a source of health and well-being. She shares this wisdom with her patients, and also tries to practice what she preaches. She and her family maintain an active lifestyle and make healthy choices. They consider the way that they shop and prepare food, the choices they make for stress reduction and the hobbies and quality family time they enjoy, both indoors and out. Discover how Dr. Cordick can help you find relief and wellness. Give us a call today at (613) 267-6646.